Easy enough for a briny weeknight meal or fab al fresco party dish, you’ll be a red hot cook all summer with this easy one-pot recipe. Here is one of our favorite ways to prepare fresh mussels, Spanish style. With a touch of flavorful chorizo and jalapeno heat, this seafood recipe is dressed to impress. 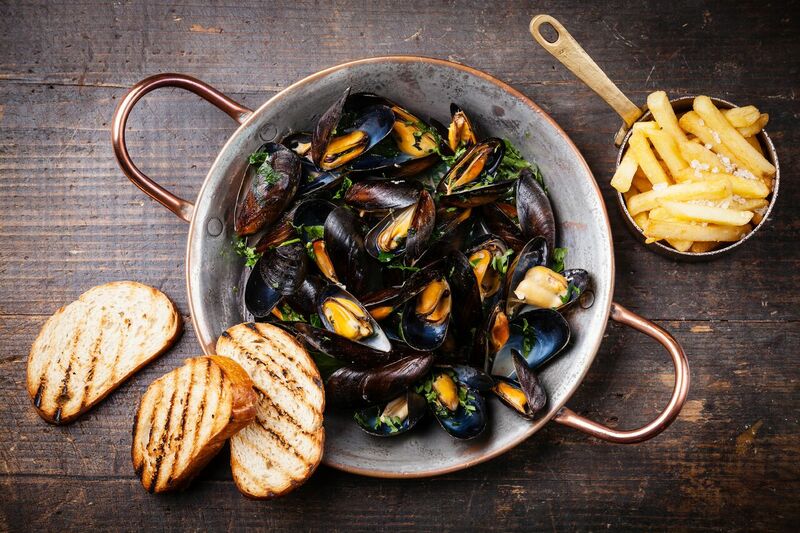 Related to scallops, oysters and clams, mussels are a great source of lean protein, omega-3 fatty acids and contain many essential minerals including zinc, selenium and manganese, to boot. Just remember to sop up all those yummy juices with crusty bread! In a large heavy-bottomed pot over high heat, heat the olive oil. Add the chorizo, red onion and jalapeno pepper and cook, stirring for 2 minutes. Add the white wine, bell pepper, and mussels. Cover the pot and simmer until the mussels open. Toss in diced tomato and fresh chopped basil and serve immediately. Serve with grilled baguette slices and french fries for scrumptious dipping.